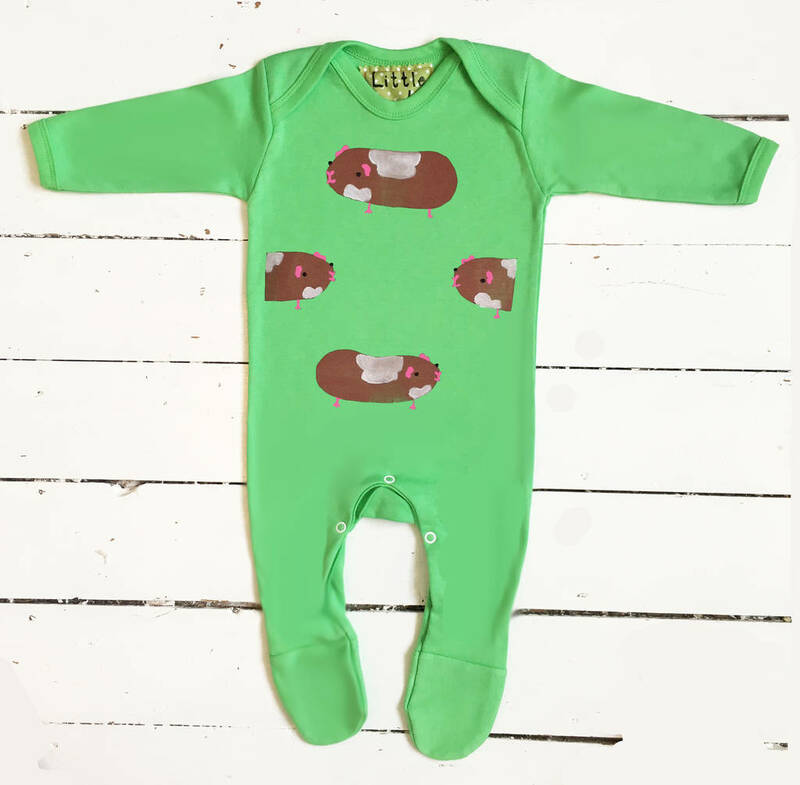 Handprinted Guinea Pig Babygrow. 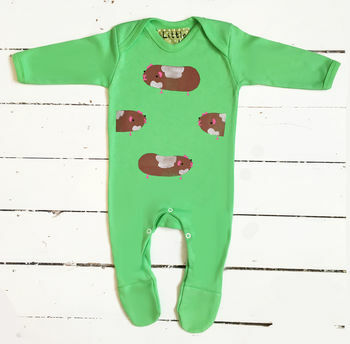 A funky brightly coloured guinea pig print babygrow in apple green. Handprinted with chocolate and cream guinea pigs. On the back of the babygrow a small cheeky guinea pig printed on the bottom. 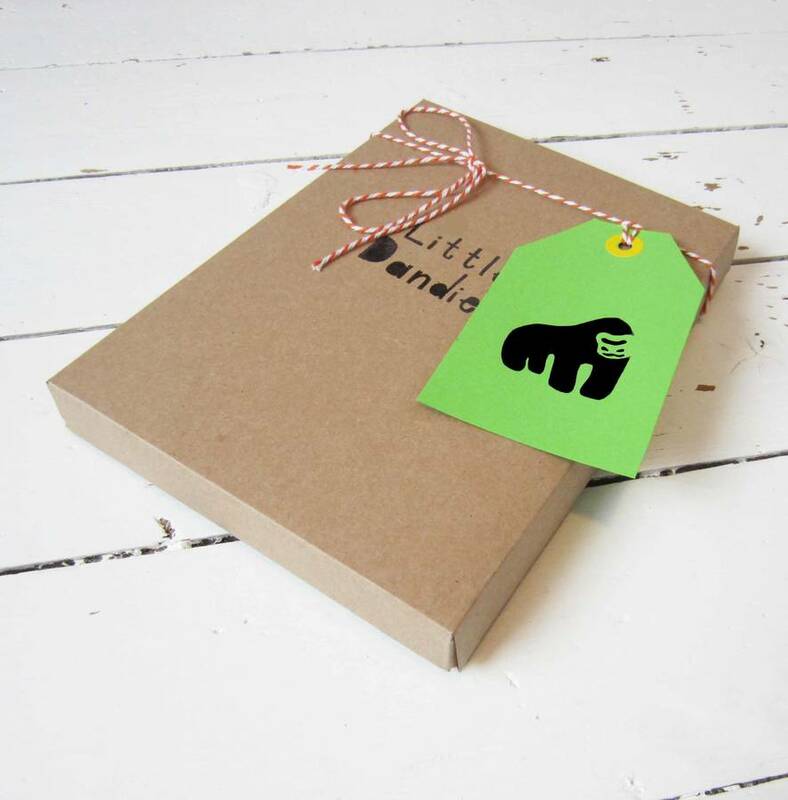 A great guinea pig present! 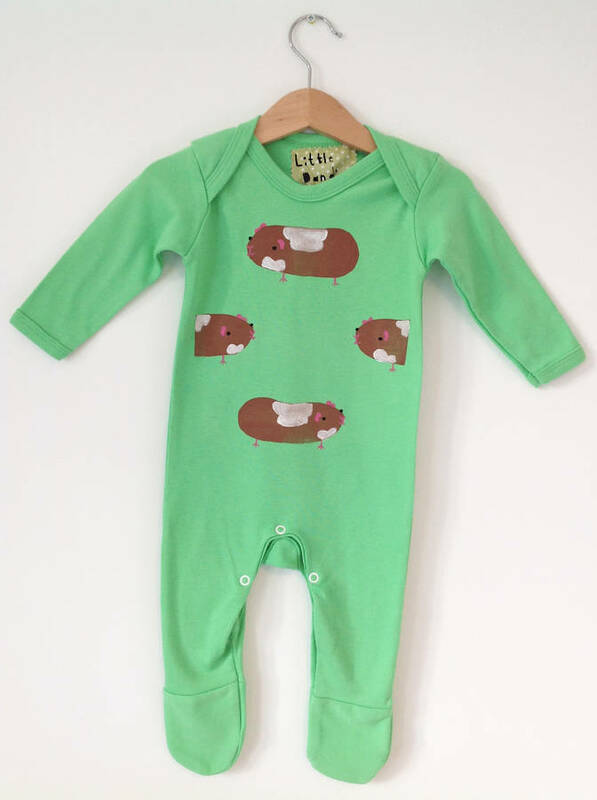 We have a wide range of animal print babygrows in funky bright colours as well as personalised options, please see sellers 'complete range' on the right. All our funky colourful babygrows are hand-printed by us and made in the UK, every one is unique and special, a great present for a new baby. Keep your baby-grow looking good and wash at 30 degrees, tumble dry at a low heat.